According to a recently released statement from the Bank of Tanzania (BoT), between October 2010 and October 2011 Tanzania gold exports have witnessed a 33 percent increase as a result of an increase in the price of gold on the world market. Based on estimates from the BoT Monthly Economic Review for November 2012, the value of gold export increased from a total of USD 1.496 billion to a total of USD 2.096 billion in Tanzania, a country that is currently ranked third along with Mali as the largest producer of gold in Africa. In addition to the increase in the value of the gold export, the value of the export of goods and services has also increased from USD 5.53 billion to USD 6.73 billion which, according to the BoT, comes as a result of three things: the increase in the price of gold in the world market, the overall export unit prices and the sheer volume of cloves and tobacco within the country. In spite of various reports from producers that production was low as a result of intensified power outages in the country, the value of gold shipment did, in fact, increase. To this end, despite the fact that African Barrick Gold (ABG) reported an 11 percent drop in production during the last three months of 2011 compared to their numbers in 2010, mining companies have reported that they anticipate that the price of gold will actually continue to increase over the course of the year. According to results from a survey that was conducted by PricewaterhouseCoopers (PwC), mining firms are predicting that the price of gold will peak at nearly USD 2,000/oz this year. Additionally, based on the most recent PwC ‘Gold Price Report,’ only 6 percent of mining companies are expecting a decline in gold prices in 2012 while 80 percent of the companies surveyed are predicting higher gold prices. 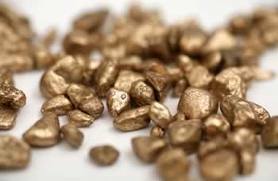 According to reports, in additional to Tanzania gold export, other Tanzania exports to neighboring countries also experienced growth during the same time period including cement, edible oil, iron and steel products, paper and paper products, plastic items, textile apparels, and wheat flour. In addition to these growths, Tanzania also witnessed growth in traditional exports such as cashew nuts, cloves, coffee, cotton, tea and tobacco. Overall, traditional exports experienced an increased from USD 487.6 USD 669.5 during the same 2010-20111 time frame with which gold exports were ranked. Furthermore, the value of oil imports also increased by 43.8 percent as a result of a rise in world market oil prices and, at the same time, the industry also experienced an 11.4 percent increase in volume, due in part to the increase in demand for thermal power generation.